The menace on your face, Acne, may not be life threatening but it certainly is a soul shattering nuisance to have on your facial skin. While the flag of danger is flared at people who are in the pre teen age group till 30, this is a condition that can catch almost anyone in the wrong food when not too careful. The ugly bumps and zits and pimples on the face are not the only atrocity that this skin condition bestows on the suffering party. It is the marks that it leaves behind that causes additional reasons to hide indoors. The causes behind the development of acne are way too many, but the root cause lay hidden in the production of excessive sebum (oil) on the skin. Matters like hormonal changes and developments, excessive stress, certain medication and exposure to environmental conditions have been linked with the issue; the first being the most important. At this very moment, there are tens and hundreds of over the counter solutions and cosmetic beauty products that are dedicated to fighting acne with success. The credit can be extended to a range of active ingredients like salicylic acid, Retin-A etc that cause significant impact in clearing away the condition. However, certain dietary changes based mainly including certain foods can challenge the cause naturally. Cucumber – Cucumbers have a calming effect on inflammations in general be it in the gut or be in on the skin. It is also one of those vegetables that is rich in water and helps flushing out toxins from the skin. This goes a long way in soothing many triggers of acne. At the same time, you can reach out orange vegetables like carrots that are rich in Vitamin A, and that which creates a similar detox effect on acne. 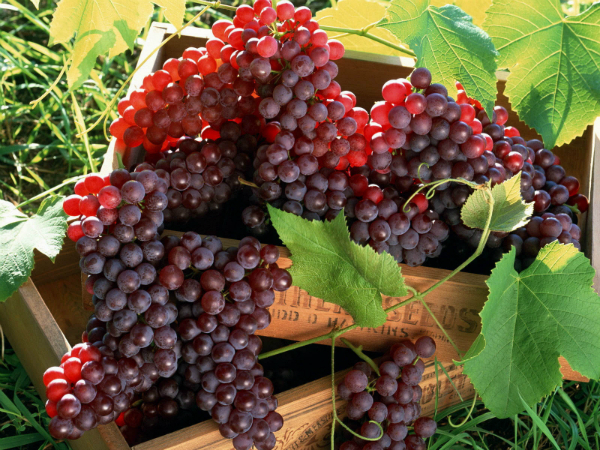 Red Grapes – The rich anti oxidant properties of red grapes have been seen to work wonders on trying skin conditions like eczema and psoriasis. Thus, it is also equally functional in taking care of acne. A bowlful a day is sure to keep acne at bay. Consider Oysters – Oysters are rich in zinc which is a critical component when it comes to putting up a fight against acne. One of the many functions of zinc is to control the release of male hormones that has been linked with the production of acne in the first place. Fish – The presence of Omega 3 and Omega 6 fatty acids in fish is known for reducing inflammatory conditions that may cause the pres in the skin to clog. Fishes like salmon, mackerel and sardines have been named in causing a soothing effect on acne. Artichoke – Packed with fiber and rich in Vitamin C, artichoke is known for clearing away all toxins that are responsible for causing acne and other skin issues. In fact, vegetables like broccoli and alfalfa sprouts are also known to produce similar positive effects on skin that is raided by acne.